Sweet Roll combines 3 colors in each ball. The yarn is designed to create wide stripes in a regular repeat, creating all the excitement of working with multiple colors, without the tedium of weaving in all those ends. 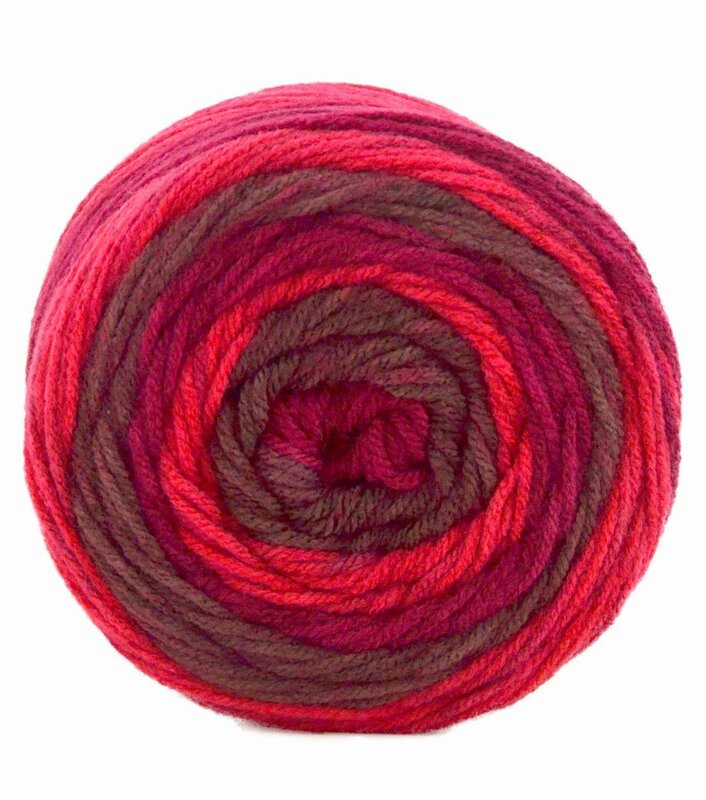 Sweet Roll is a medium weight, machine washable, 100% acrylic yarn in a generous 245 yard ball. Our range of 25 color combinations includes something for everyone, from neutrals to brights to pastels.